For years we’ve heard from seniors who have lost their dental insurance and incurred large “out of pocket” dental expenses. Some try to buy insurance on their own, but run into restrictions, limits and piles of paperwork. And let’s not forget, insurance companies are businesses too – they make money simply by being the middleman. We thought…there has to be a better way! 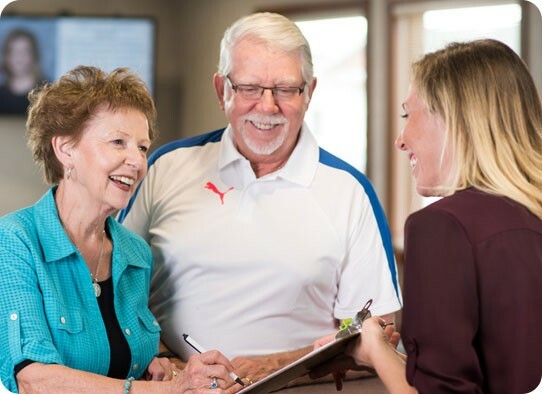 We put our heads together and developed a simple in-office savings plan we call our “Senior Savings Membership Plan.” It’s a simple, transparent, cost-saving plan that we extend to all seniors. No middleman, no piles of paperwork, and no confusion. Two complete preventive check-ups. Check-ups include cleaning, exam, fluoride and recommended x-rays. Even if all you need are preventive services, you will save about $130/year on this plan. 20% off all other dental work. Crowns, veneers, root canals…basically every dental procedure performed in our clinic will be 20% off for members. What’s in the fine print? Patients must be 65 y/o or older. All payments must be made day-of-service and are not eligible for additional discounts. Cannot be combined with other insurance or financing (we made this for people without insurance!). Benefits extend only during the coverage year and cannot be “carried over.” Invisalign is excluded. It’s true what they say… “An ounce of prevention is worth a pound of cure.” We believe this plan prioritizes prevention and allows you to get the care you need while keeping costs down. Call us today and we can get you set-up. No insurance? No problem! No kidding! Have a question about our senior's plan?